I love “shyly resplendent”… Wondering if they are similar to zebra stripes: no two are alike? I don’t know if each pattern is unique. I do love the large leaves and colors. So striking, just to look at them is a treat. 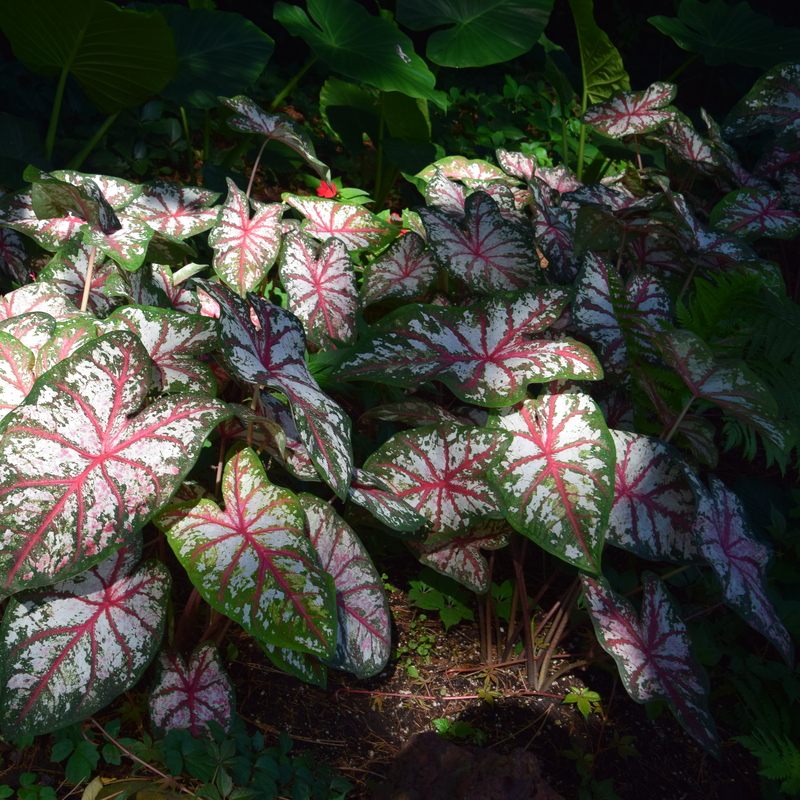 Caladiums come in many color combinations. The distinct veining in the leaves makes them special. Such a colorful plant… nice word to match!